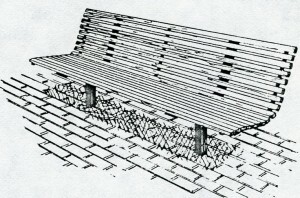 Street Benches – Seating for pedestrians allows visitors a rest from shopping. 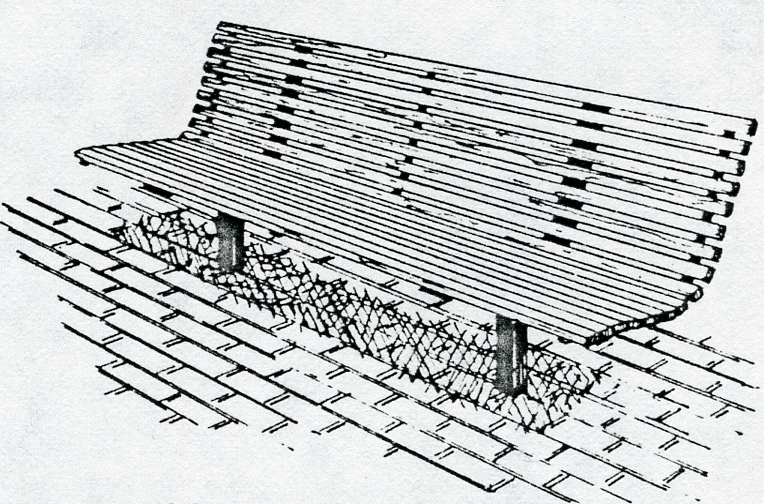 Seats should be designed for comfort and located in such a way as to facilitate conversation and pedestrian viewing. Bicycle Parking – Bike racks are located in accessible, high activity areas of the downtown. Kiosks – A few information kiosks accent the business district and serve as a mirror of current events. A number of historic markers would also complement the downtown. Trash Receptacles – Eight trash receptacles displaying the City of Payette’s official seal were recently placed throughout the area to aid in litter control. Banner Wires – A few overhead wires or poles for banners, flags, or promotions will assist special city events. Drinking Fountains – A couple of outdoor fountains should be installed to serve the pedestrian environment. For example, a drinking fountain would serve the small proposed park / parking area located at the southeast corner of Center Avenue and Main Street. Awnings – Fabric awnings that provide color and function are recommended for business storefronts. Awnings reduce glare and help serve as energy savers by controlling the amount of sunlight penetrating the storefront. Building orientation determines awning needs. Building fronts with northern exposures seldom require awnings. However, for those storefronts that need awnings, soft weather-treated canvas or vinyl materials that allow for flexibility or fixed installations are recommended. Fabric colors that are visually compatible with the colors of the building’s exterior should be selected. Awnings also present a good location for store signs.